Michael's Tiger Shark Slideshow Maker Now Available! 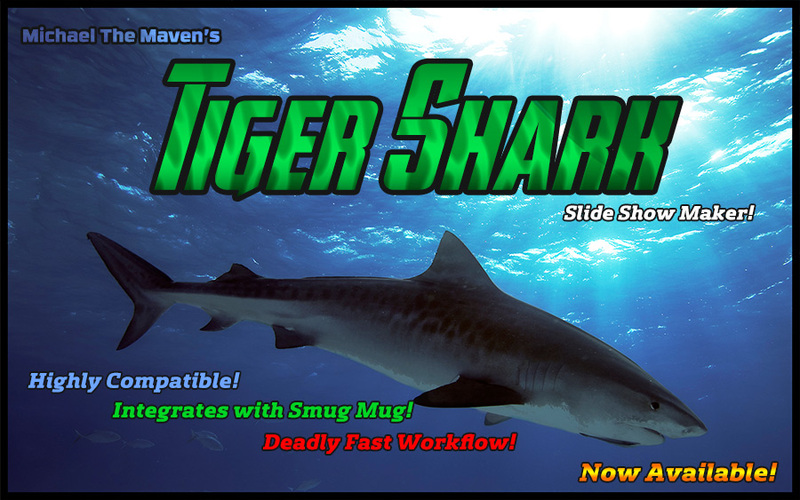 Very Happy to Announce that my Tiger Shark Slide Show Maker is now available for sale! Over 2 years in the making, there is finally a slideshow player that overcomes the incompatibilities of Flash & problems with HTML5, meaning it works on nearly all browsers and mobile devices. Additionally, Tiger Shark integrates with SmugMug Pro accounts, allowing users to publish shows linked up with their Albums on SmugMug.com , which means viewers can purchase prints directly from the slideshow! Now photographers can not only share their great images, they have a wonderful tool to help sell them in a slideshow format! As of Tiger Shark's initial launch, no other slideshow player does this! Not one! Because of the problems with illegal sharing, Tiger Shark is currently sold exclusively through FastSpring.com, which allows us to use licensing to help limit the chances of it being pirated. A big thank you to Cameron and Kimball from my development team to help me make Tiger Shark a realization! 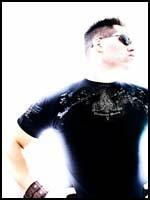 CLICK HERE To Buy Tiger Shark!! RAWR! !